A wholesome snack or lunchbox treat. Preheat your oven to 190°C and line a 20cm x 20cm slice tin with baking paper. Add oats, tahini, honey and egg and mix well. Pour into slice tin and bake for 20 minutes. Allow to cool before cutting into 10 equal portions. 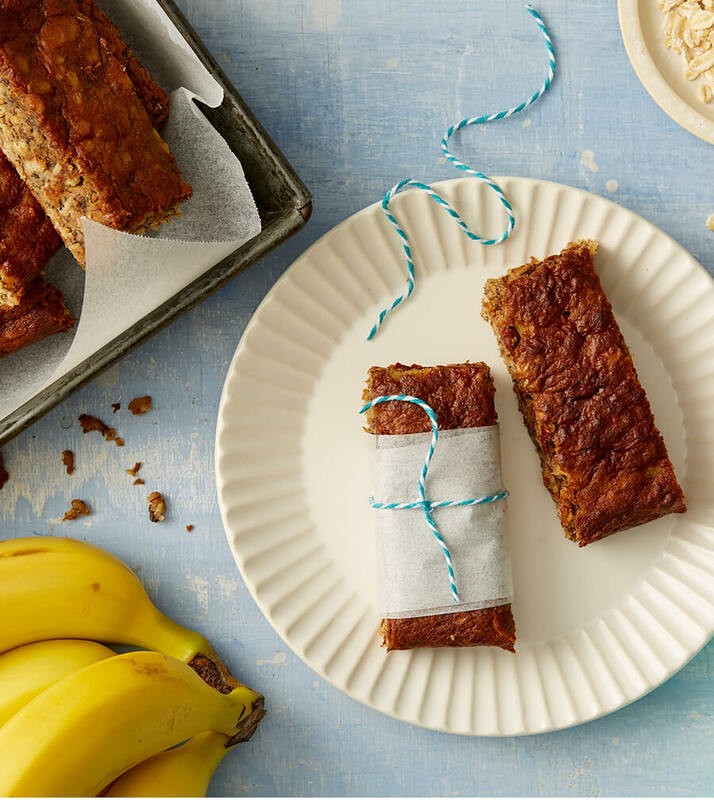 Bananas are loaded with low GI carbohydrates and vitamin B6, perfect for a mid-morning pick me up! Low GI carbohydrates provide slow burning energy, and vitamin B6 helps your body use that energy.